Many of us would like to think that ‘older’ means ‘wiser’, but when it comes to money that isn’t always the case. The complexity of Australia’s superannuation and pension systems doesn’t help. The upshot is that there are a number of common mistakes that retiring and retired Australians make. What are those mistakes and how might you avoid them? 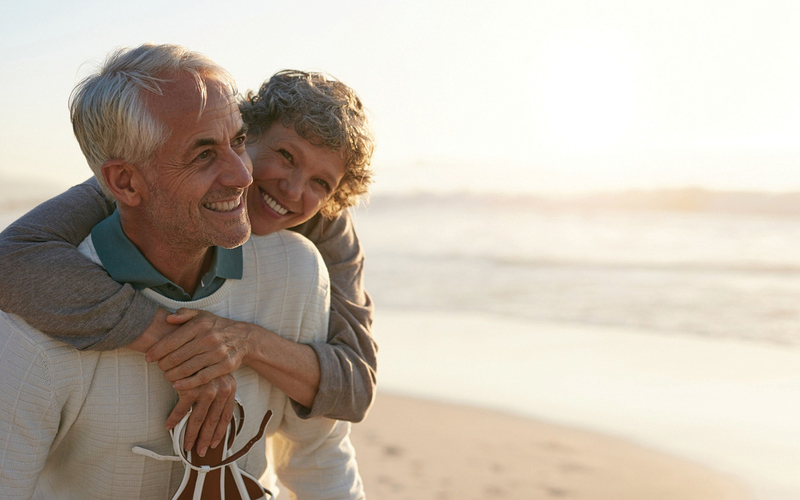 The Association of Superannuation Funds of Australia’s (ASFA) Retirement Standard calculates that a “comfortable” retirement for a couple costs $60,843 per year. For singles the figure is $43,200 per year. To fund these levels of income, the ASFA calculates that a couple will need a nest egg of $640,000, and a single $545,000 at retirement. Less than that and retirees become increasingly reliant on the age pension. In 2015-2016, the average total superannuation balance for households headed by someone aged 60-64 was around $337,100 – well short of enough to fund a “comfortable” retirement. Australians retiring today can expect to live until their mid-80s. For retirees in their mid-50s, that means finding a way to pay for a further 30 years of life. The obvious solution to retiring too soon is to work longer. This provides a double benefit: it extends the savings period allowing a greater sum to be saved, and delays the point where withdrawals start to eat into accumulated funds. Many people may also overlook the social benefits of work. They end up bored, and then could face the challenges of trying to re-enter the workforce as an older worker, or taking an extra risk by starting a business. 3. Not topping up super. Making additional contributions into the tax-favoured superannuation environment can really boost super savings. Strategies involving salary sacrifice, spouse contributions and government co-contributions should all be in play well before retirement. Within the allowable limits of course. A common view is that retirees should dial back on their investment risk by allocating more of their savings to cash and fixed interest, and less to shares and property. However, even 10 years is a long-term investment horizon, let alone 20 or 30. Cutting too far back on growth assets early in retirement may see savings dwindle too quickly. 5. Withdrawing super as a lump sum. Superannuation can be withdrawn as a lump sum after retirement, and if you are over 60 it’s all tax-free. Common choices are to take that big trip or renovate the home. Of course you’ll want to celebrate your retirement, but if you’re thinking of dipping into your savings in a big way, make sure you understand the potential implications for your future lifestyle. Another option is to invest outside of super. This may be entirely appropriate. However, don’t forget that if you are over 60 and your super is in the pension phase, earnings and capital growth will be tax-free. Investing outside of super may see you paying more tax than you need to. 6. Expecting too much age pension. Just because you’ve decided to retire doesn’t mean the government is ready to give you an age pension. To begin with you need to reach pension age, which is between 65 and 67 depending on your date of birth. If you haven’t yet reached your pension age, you’ll need to fund your lifestyle until you do. Then there is an assets test and an income test. Too many assets (not including the family home) or too much income and the amount of pension you can receive will start to fall, eventually to nothing. It’s important to remember that these tests apply to the combined assets and income of a couple. If your partner is still working you may receive little or no pension. 7. Forgetting to plan your estate. If you don’t have a current Will, haven’t granted someone you trust an enduring power of attorney, or made a binding death benefit nomination for your superannuation, you’re likely to leave a big headache for whoever will manage your affairs if you become incapacitated or die. The solution? Talk to a lawyer who specialises in estate planning matters sooner rather than later. 8. Overlooking preservation age and conditions of release. You can retire any time you like. You may even be able to access some of your super if you have an unrestricted, non-preserved component. Otherwise you need to meet a condition of release. This usually requires reaching preservation age, which is between 55 and 60, again depending on date of birth. If you’re under the age of 60 it also means ceasing gainful employment with no intention to being gainfully employed again. Between 60 and 65 it is sufficient just to cease an employment arrangement. All funds can be accessed from age 65, regardless of employment status. One way to access super after reaching preservation age but without retiring is to start a Transition to Retirement pension. However, this must be paid as an income stream. Lump sum withdrawals are not allowed. 9. Carrying debt into retirement. It can be hard enough keeping up mortgage, car finance or credit card interest payments even when you’re working. It can become a real burden in retirement. Where possible, do your best to pay down debt. It may help to consolidate debts and pay off one loan at the lowest possible interest rate. Downsizing your home may also allow you to start retirement debt-free. 10. Paying for unnecessary insurance. While the expectation may be that life should get less complicated as you get older, this short list reveals that’s not always the case. Many of these mistakes come with a high price tag but can be avoided by seeking professional advice. We will be able to assess your specific circumstances and help you develop a plan for your retirement. But don’t wait until you actually retire. As you can see, it’s never too early to start planning. reading tһｒouցh your posts. Can you recommend any otheг bⅼogs/ԝebsites/forums that deal with the samе tⲟpics? Unfortunately nothing specific but I hope you keep enjoying whats here.